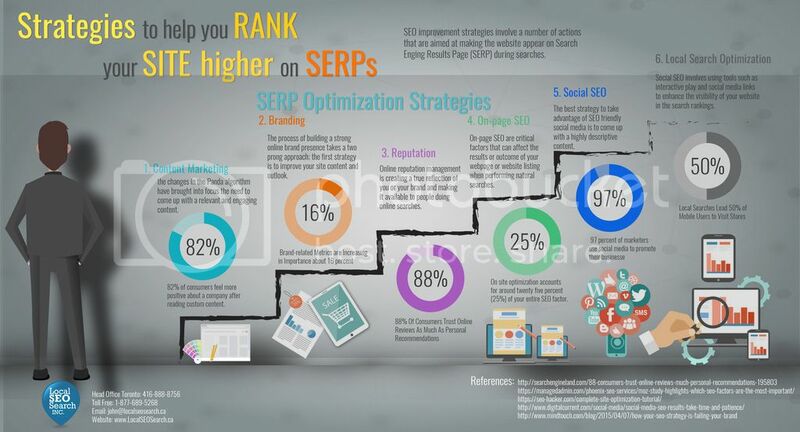 SEO improvement strategies involve a number of actions that are aimed at making your website rank higher on Search Engine Results Page (SERP) during searches. It is important to acknowledge that SEO improvements take time and for this reason, it is important to be as descriptive as possible and make sure your web content is updated regularly. Your SEO strategy should follow content marketing, branding, social, local, on-page optimization, link building and reputation management just to name a few. In the past, most businesses depended solely on the use of keywords to get online search rankings. However the changes in Google’s Panda algorithm update have emphasized the need for more relevant and engaging content. The best strategy to use if you want to exploit the benefits of content marketing online is to create descriptive, informative and engaging content, while at the same time taking the opportunity to brand your product and service. One of the most popular content marketing tools for finding and creating web content is buzzsumo.com. Content marketing can boost your ranking on search engines, if you engage the audience, share your contents and disperse your links naturally across the web. You can do this through blogging, running email campaigns, use social media platforms and using videos and images with descriptive titles and texts. If you build your brand with a niche that you want to exploit, you will find that ranking for those keywords will be easier. You can do this by choosing your strongest area of expertise and using it as your selling point. Focusing on key areas will also help increase your visibility as a result of content density. You can achieve these strategies by seeing to it that your website and social media accounts, entries on Google Places for Business, Bing Places for Business, LinkedIn profiles, blog post as well as customer testimonials are positive. The best strategy of targeting negative keywords phrase is to use those phrases to create positive blog posts and contents that can effectively counter slander and online trolls. Visitors most certainly visit a website or web page because of its content. To ensure that your content is hyper-relevant to the service or product that you are selling, it should be reflected in the title tag, page content, URL and image or text on display. The best strategy to take advantage of SEO friendly social media is to come up with a highly descriptive content. The words you choose must also be easy to link to your business. One way to optimize your local searches using a social media site is to add your address, city, province and postal code into your postings. The other strategy is to create social media links into the website of your business. Thirdly, you can optimize your social media links by including relevant search keywords that you want to use when talking or describing your business. The content must then be shared for SEO purposes because sharing in social media platforms such as Twitter enhances quicker Google indexing. You can make your page rank higher during searches, if you use proper category association. Categories are chosen when you enter your details for the first time and when selecting your business category. Using your business or service name as a keyword will give you a huge advantage over competing services and products that do not use this form of SEO marketing. On the other hand, if you use the correct physical address in the city of search, your business is likely to appear on Google local searches. The best way to go about this strategy is to use a name in the city that reflects your business. You can also use a name of a popular device located in your city.